Just been reading this Cheltenham Gold Cup blog and while it's a bit OTT I can't really disagree with it. 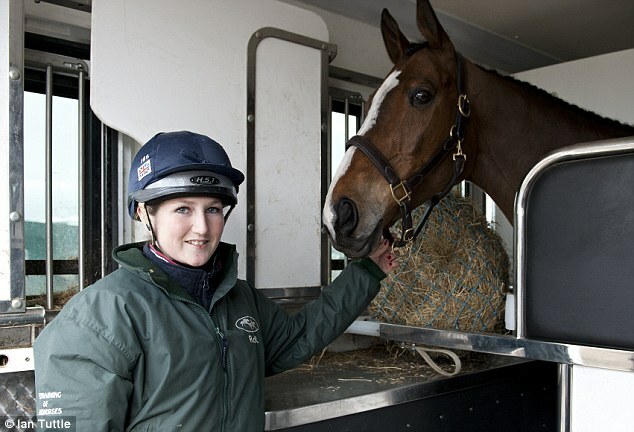 Kauto Star is a great horse and has brought pleasure to millions. I reckon he'll ensure his name goes down in history at the Festival next month. What a horse! The mighty Kauto is the best jumper in a long long time... what he did to them in the King George in December was epic, so strong. I'd love to see him in the flesh. They're showing the festival down here this year so I'll have a few sleepless nights. Probably the best jumper since Arkle, fantastic to watch, and its longetivity at the top is great for NH racing in England. Having said that, the legendary Desert Orchid was right there too. 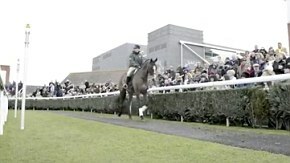 Denman pantsed Kauto Star in the cup when I was over there a few years back. 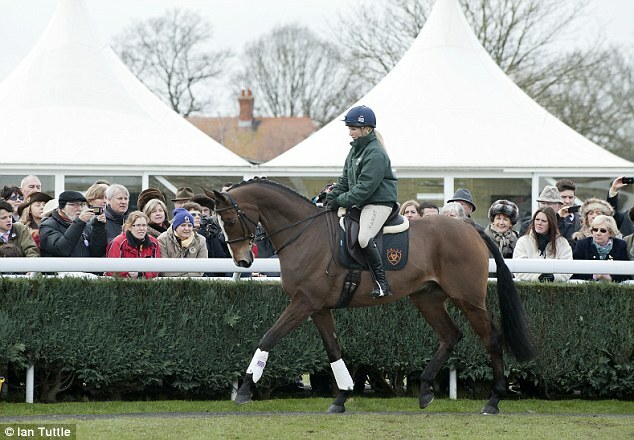 When Denman gets rolling out in front he's very hard to run down........unlike the Aussie Denman. Kauto Star, champion that he is and legend that he remains, shows off his newly acquired dressage skills with not so much a rising trot as a rising strut. But that level of look-at-me superiority, albeit justified throughout his distinguished racing career, does not mean he is going to become anything remotely approaching a world beater in a second equestrian sport. Far from it. British Eventing boss Yogi Breisner, who had already ruled out Olympic participation for Kauto Star in 2016, added further much-needed perspective to a story which fantasy and romance had tended to embellish. So it is with the winner of two Gold Cups and a record five King George VI Chases. He is heading for a ‘little dressage test’ this spring, very much not on the road to Rio. Nor will he be attacking a cross-country course and tackling fences in the showjumping arena, the other two disciplines in eventing. The risk is considered too high for a horse of his stature. Pity the poor two legs who has to tell this famous four legs that all he can aspire to is mediocrity in modest dressage competition. Teaching Kauto Star how to complete a piaffe and a volte may be like ‘teaching Usain Bolt to become Nureyev’, as his rider Laura Collett once declared, but there will be no Bolshoi for him. ‘This is not about making a second career. It is about giving him a good life in retirement,’ Breisner added as Kauto Star returned to his luxury horsebox on Saturday after a few dressage-style ceremonial laps of the Newbury parade ring. 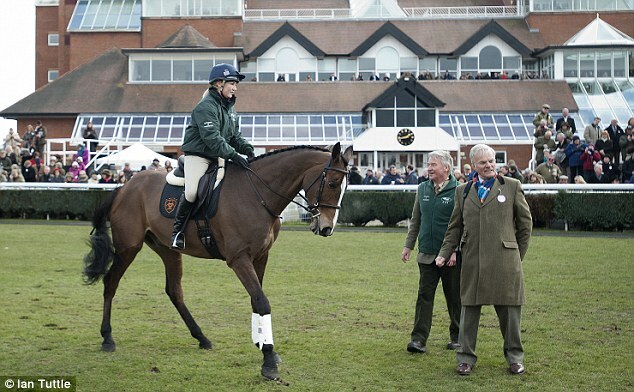 The last time Kauto Star had been to the Berkshire course was in 2007 when beating L’Ami a neck. A month later the Paul Nicholls-trained bay, ridden by Ruby Walsh, landed his first Gold Cup. The Cheltenham Festival was in the air. The horse could have been forgiven for thinking he was about to run again as he entered the ring to the kind of warm reception he came to receive both before and after the many races that established him as the greatest chaser of his generation. As a creature of habit, according to Breisner, a racehorse would associate the place with racing. But those days are behind him. Where once Kauto Star was exhorted to gallop, he is now required to canter, not surprisingly perhaps the dressage element he is finding hardest to master. It is this reining back of a true racer, a bit like forcing Lewis Hamilton never to move out of second gear, that some of the National Hunt fraternity struggle to accept. That and the whole scoffing bit about music and movement. 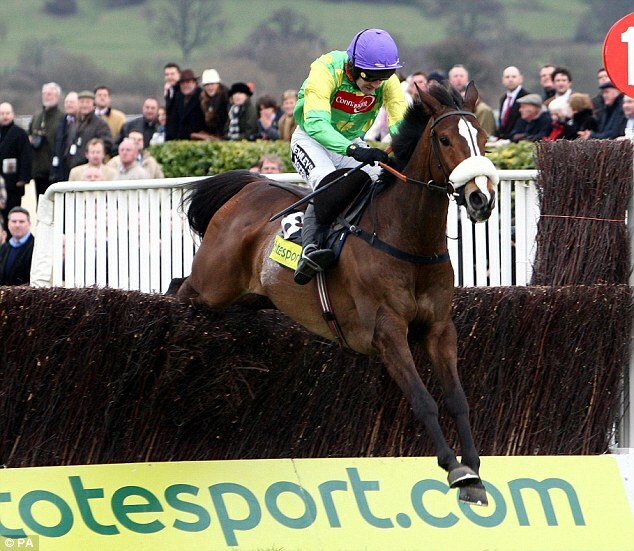 Kauto in a tutu, it has been said. ‘That is just born out of ignorance,’ Breisner declared. A horse can’t speak, of course. Yet he can declare his happiness and wellbeing in many ways: by eating, by looking bright in his coat and by maintaining his weight. He looked a picture at Newbury. He looked happy. A long face but not really. The human long faces should leave him to enjoy his retirement. Cheltenham hero and jumps racing superstar Kauto Star has died after suffering pelvis and neck injuries in a freak paddock accident. During a glittering career with champion trainer Paul Nicholls, the 15-year-old won the King George VI Chase at Kempton five times and became the first horse to regain the Cheltenham Gold Cup. He retired from racing after pulling up in the 2012 renewal of the blue riband having won 23 of his 41 races and captured well over £2million in win and place prize-money. Kauto Star went on to pursue a career in dressage with Laura Collett and last December took part in a demonstration on the opening night of the London International Horse Show at Olympia. Collett said: "It's an honour and a privilege to have been involved with him and had him in the yard. "It's just horrendous. He was out in the field, the same field he was out in every day, we don't really know what happened, but he injured his neck and pelvis and sadly had to be put to sleep." Owner Clive Smith explained Kauto Star had suffered what appeared to be a minor injury last week but his condition deteriorated over the weekend. 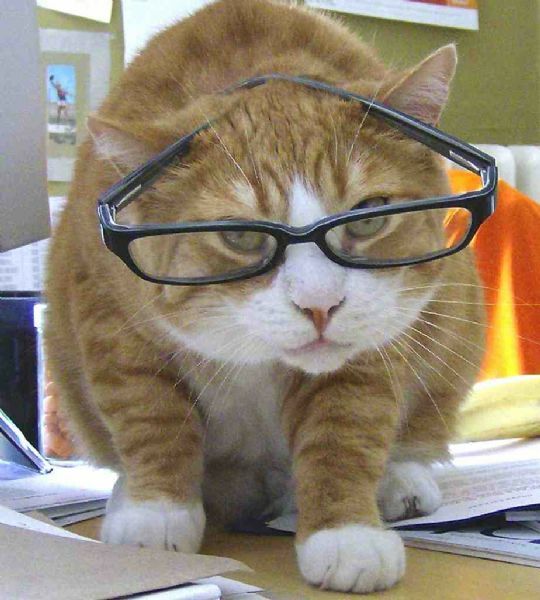 He said: "It's all very, very sad. He was put out to grass, as in fact he always was, even at Paul Nicholls' (stables). He was put out for weeks at a time there. "On this occasion he was out in the lovely sunshine, I was away at the time. I saw him on Friday and by that time he'd had what appeared to be a mild injury, but things gradually changed. "The vets' report was brilliantly handled by Hattie Lawrence of the Valley Equine Hospital in Lambourn." Referring to the report, Smith told At The Races: "He was not responding to treatment on Thursday and Friday and various complications came over the weekend. "Although he made an improvement and rallied, as he always did in races, on Monday morning it was very bad. "I came back down from Scotland and the decision was taken with Hattie Lawrence to euthanise the horse." Smith hailed his brilliant charge as "the complete racehorse" and explained it was the severity of the injury to his neck which made the decision to put him down inevitable. He said: "The real injury that has caused the problem is a neck injury, at the base of the neck between C6 and T2 (vertebrae). It affects the spinal cord and in the end, it paralyses through the legs. "When I saw him yesterday afternoon, he was lying there and I fed him some grass and stroked him and tried to spend the last few minutes with him. "The decision had to be taken and there was no other course of action to take. Unfortunately he was not able to stand and then he had the pelvic injury." Reflecting on his astonishing racing career, Smith went on: "He's been a fantastic horse and when you think back about how brave he was, he had the heart of a lion. "He was so brave, he had everything really. He was the complete racehorse. "I have so many great memories, after all he won 16 Grade One chases. "He was an absolutely incredible horse with a lot of speed, winning over two miles in Tingle Creeks, then right up to the Gold Cups, which he needed a lot of stamina for. "He had a beautiful nature and he will sadly missed by a lot more people than you could ever imagine. "The response I used to get around the racecourses, people used to come and talk about him all the time. He really has been well loved by everybody and I'm sure he'll continue to be so. "He just loved the attention, he was a little bit of a show-off. He liked being stroked and given lots of Polos. He was a particularly extrovert type of horse and he was so talented as well, which makes it all the more difficult to take in. "I just feel so sorry he didn't have chance to have a longer life." The best one was his fourth win in the Betfair at Haydock, where he jumped brilliantly.